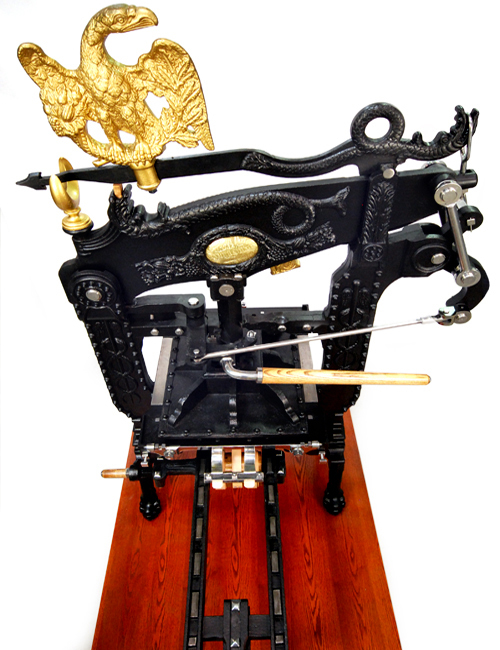 As the recognized forefather of the hand press, George Clymer is said to have first built his "Columbian" in 1813. 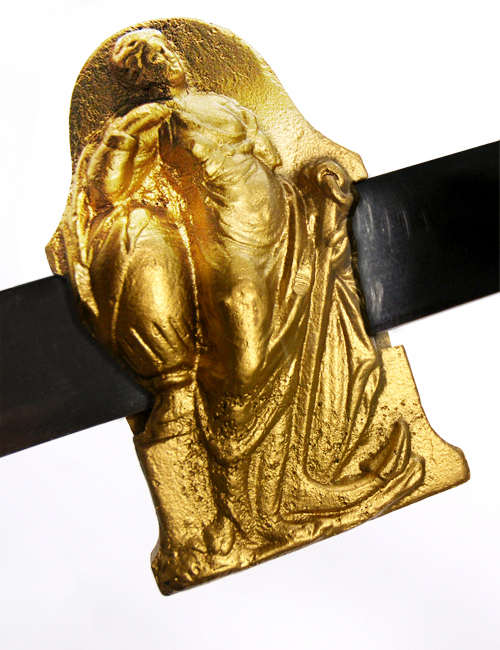 This represented a major development in the printing press. 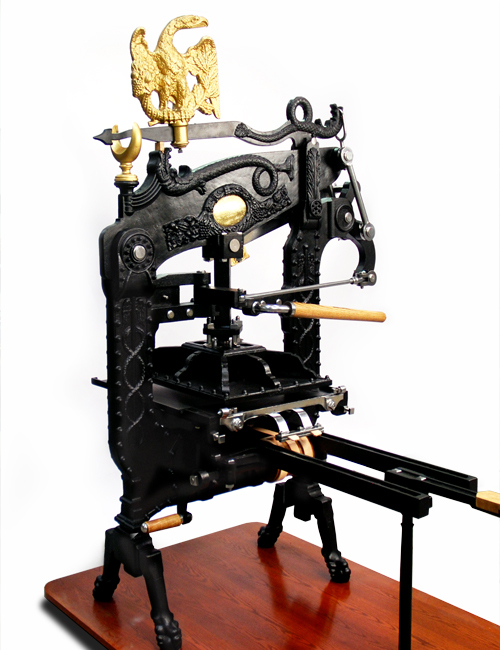 Although Lord Stanhope had designed and commissioned the first true all iron press in 1799, it still used the "wine screw" principle to lower the platen to the type bed. Clymer discarded the screw and instead used a series of levers that not only made the work easier but did not remove any impressional strength. 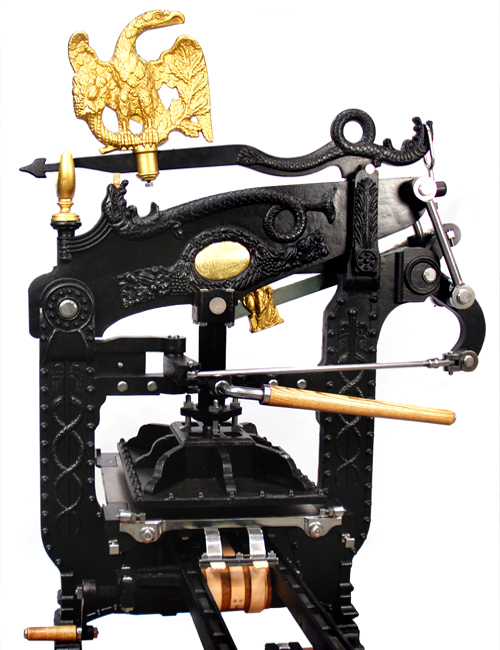 This press was called the Columbian but saw little favor in his home town of Philadelphia. Although we know several machines were built and sold in America, the concept - possibly due to the cost as well as weight - never caught on. In 1817, Clymer moved to London and set up shop in Finsbury Street, which was ideally situated amongst the type and metal foundries, and was within walking distance from Fleet Street. After patenting his invention, the press did receive favor and was sold all over England. Several versions were also built in Europe. 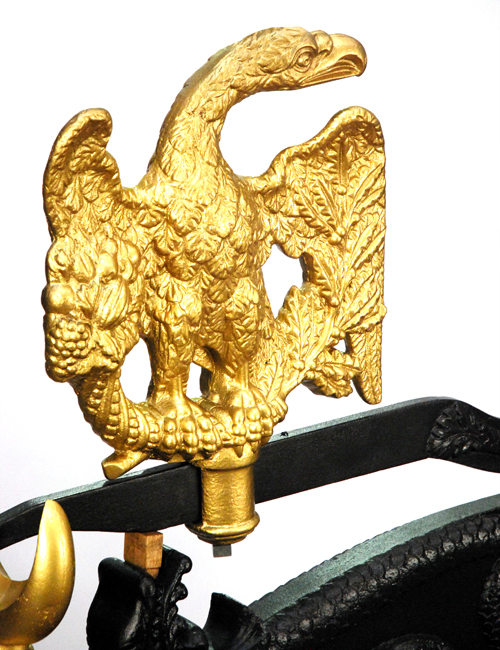 These were altered in appearance to suit the particular country. After all the Columbian had what could be referred to has a wild decoration with an American eagle surmounted on top of the bar. 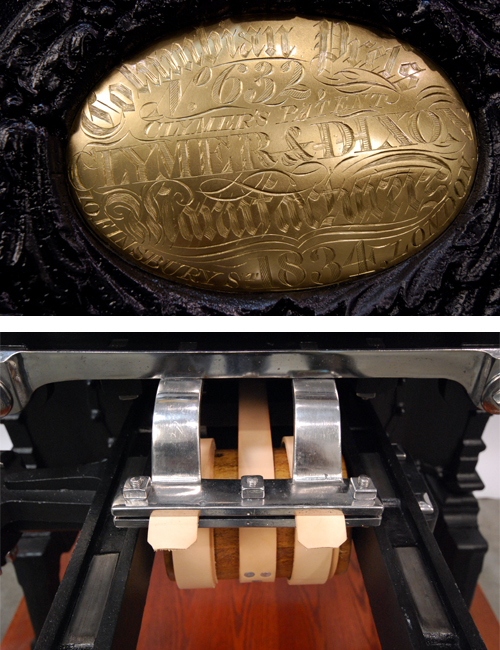 Our press bears the date of 1834 and represents an important passing. George Clymer passed away that year leaving the company to his partner, Mr. Dixon. Although there are earlier examples in existence possibly only 40 machines survive that were built during Clymer's life. In addition to the 1834 featured here, and an 1851 Columbian press built by Clymer Dixon & Co. after Clymer's death, many other Columbian press manufacturers are represented in our vast Collection - Harrild & Sons, Hopkinson & Cope, Wood & Co., Woods & Sharwoods, and William Carpenter.